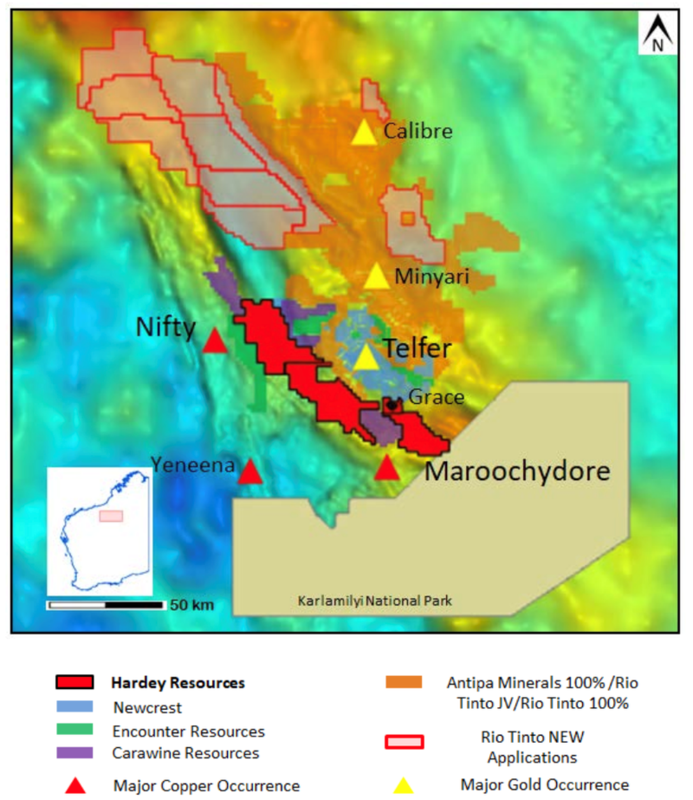 Hardey Resources (ASX:HDY) this morning announced it has significantly increased its prospective land holding in the Western Australian Paterson Province by 1594 square kilometres. The additional tenement applications complement HDY’s existing advanced Grace Gold-Copper Project, which the company is currently reviewing for the upcoming 2018 exploration calendar year. In total, HDY now has 100 per cent ownership over a consolidated 1651 square kilometre land package in the southern region of the Telfer District. It should be noted here that HDY is an early stage play and anything can happen, so seek professional financial advice if considering this stock for your portfolio. The Paterson Province is a world-class mining district that’s known to host huge economic gold, copper and uranium deposits. 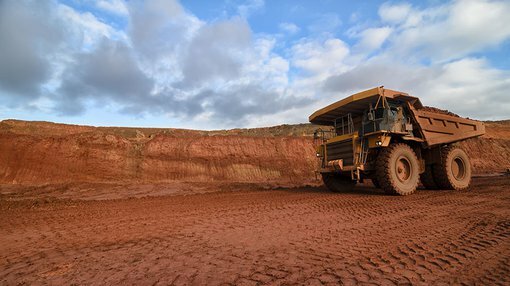 It’s home to Newscrest’s (ASX:NCM) Telfer gold-copper-silver mine and O’Callaghans tungsten-base metal deposit, Metals X’s (ASX:MLX) Nifty copper mine and Cameco and Mitsubishi Development’s Kintyre uranium deposit. These, along with HDY’s Grace Project can be seen on the map below. HDY also announced that it has received approvals for Programme of Works (PoW) at Grace Gold-Copper Project and for the Bellary Gold Project from the Department of Mines, Industry Regulation and Safety (DMIRS). Native title approvals are still to be obtained and the company has a heritage survey planned for March. Once heritage approval is gained, work will begin via two trenches at the locality where six gold nuggets were earlier discovered at Bellary. The Pow at Grace is in anticipation of a positive desktop review, which will allow the company to act quickly and begin drilling as soon as practical. HDY continues to review other opportunities in the Pilbara region. “We are pleased to significantly increase our land position in the world class Paterson Region, which complements our Grace Gold-Copper Project. “With Rio Tinto recently applying for an additional 5,913km2 combined with the increase in exploration by Newcrest, Encounter, Antipa and the recent listing of Carawine Resources whose tenements neighbour ours, we believe the Telfer District is set for an exciting 2018. “The approvals of both POW’s by the Department of Mines, Industry Regulation and Safety (DMIRS) at Bellary and Grace is a significant catalyst in progressing these important projects for the Company and I look forward to updating the market as the Hardey Resources story unfolds”.